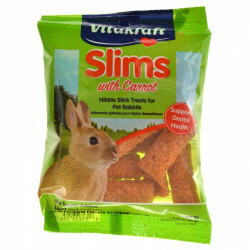 Rabbits are total herbivores that thrive off of grazing foods like grass and leafy greens. 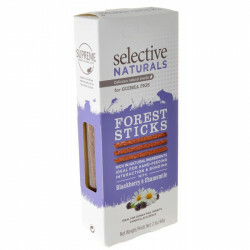 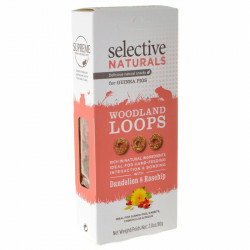 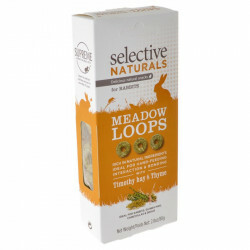 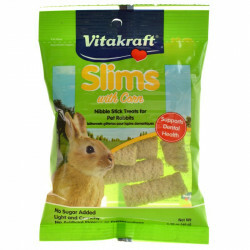 These types of foods provide the rabbit with sufficient fiber and natural nutrients to support its high-energy lifestyle. 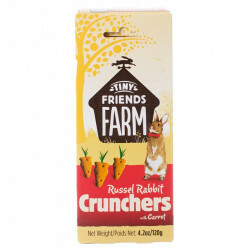 Food for pet rabbits is available in a variety of forms, including pellets, hay and grass, and crunchy nut and seed mixes. 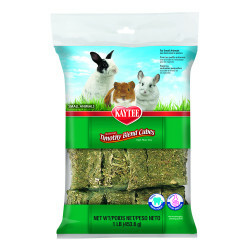 Each type of food meets a specific rabbit need; pellets provide concentrated nutrition for the bunny's maximum benefit, hay provides high fiber and aids digestion, and crunchy foods help keep teeth trimmed while providing an outlet for the rabbit's chewing instincts. 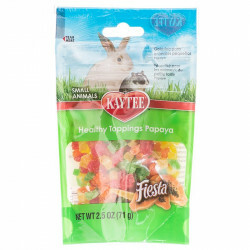 Pet Mountain's Rabbit Treats store offers a wide selection of tasty, colorful, highly nutritious snacks that help support your rabbit's non-stop metabolism in between meals. 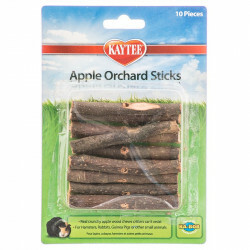 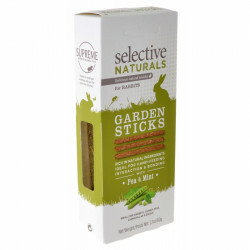 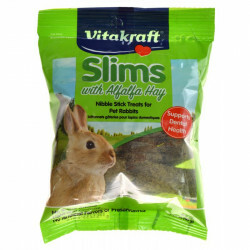 Slim chew sticks, bite-sized vegetable nibblers, yogurt-dipped hay clumps and grass cubes all make perfect treats for your pet bunny. 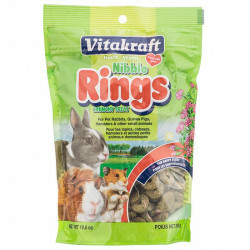 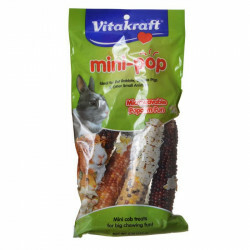 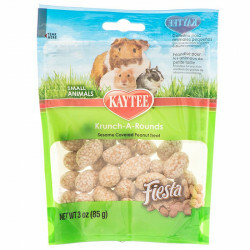 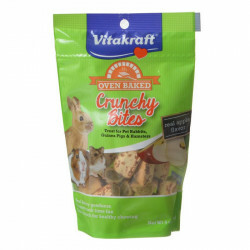 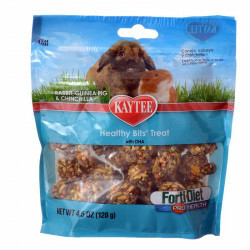 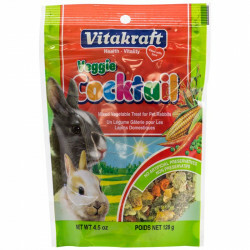 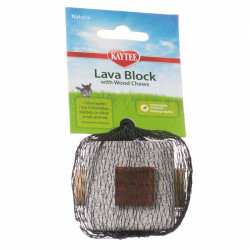 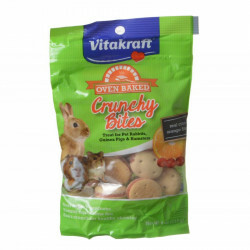 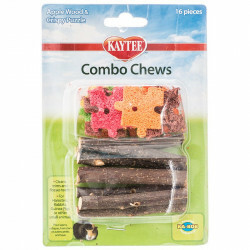 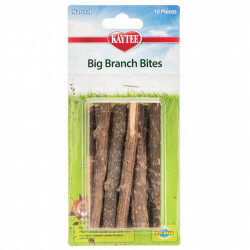 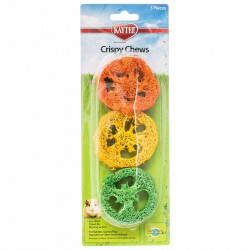 Leading brands for small pet care including Vitakraft, Kaytee, Super Pet and T-Rex all provide fun, tasty bites that will keep your rabbit's energy up, its body healthy and its teeth trimmed. 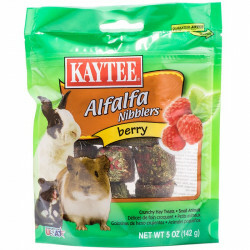 Just be sure to get your hand out of the way after feeding! 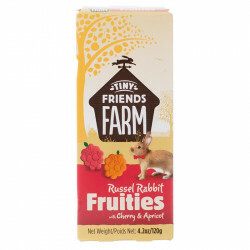 Rabbits have sharp noses, and when they detect the scent of something yummy coming closer they'll probably try to nibble at the first thing they see!